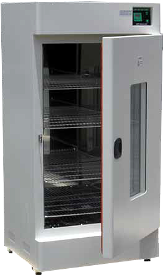 Routine drying and sterilization applications up to 200 °C and storage at precisely controlled elevated temperatures are the strengths of DSI drying ovens. Because of the natural convection with a high rate of air exchange, thermal processes run with significantly increased efficiency. 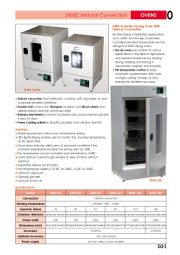 Hot air ovens are suitable for various applications in the fields of agricultural, and industrial researches for heating, drying, sterilizing and baking in laboratories, hospitals, and industries. PID temperature control provides automatic compensation after load changes, setting changes or door opening for excellent accuracy. Natural convection heat distribution combines with adjustable air vents to provide excellent uniformity. Double wall construction, fiberglass insulation and silicon rubber door sealing reduce heat loss and power drain. Stainless steel interior chamber and shelves are corrosion resistant,durable & easy to clean. Power coating exterior is beautiful, durable, and corrosion resistant. LED digital display enable users to monitor the chamber temperature at any given time. 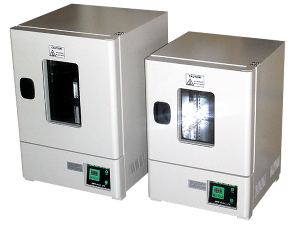 Visual alarm indicator alerts users of abnormal conditions if the chamber temperature exceeds the setting point by 10°C. 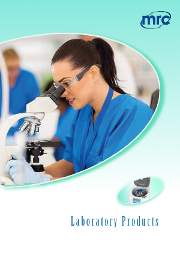 The temperature can be controlled and maintained to 200°C. Ovens feature a see-through window to view contents without opening. The temperature stability is ±0.5°C at 100°C; ±1.0°C at 200°C.